Today, students are learning math at deeper levels. Math is being taught differently now because we are no longer teaching kids how to “just do,” we are teaching them how to think, which prepares them for success in higher level math. Given this focus on deeper learning, it’s not surprising that your child’s learning may look different than how you learned. Because of this, we are providing a variety of math resources to help you help your child with his or her homework. Math homework can be tough. But just like athletes train for the big game, students are finding the strength to solve math problems in different ways. The Common Core helps students think creatively and critically about math, instead of just memorizing facts and procedures. Curious about Common Core math? We’ve gathered some useful resources for parents so you can see for yourself how Common Core is helping your child build (and flex!) his or her math muscles. 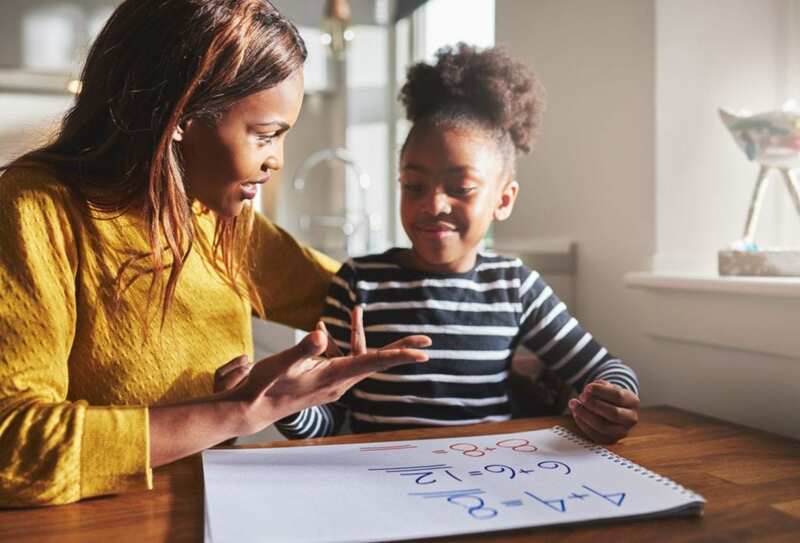 Check out these math videos from the National Council of Teachers of Mathematics, featuring teachers and math professionals explaining the logic and reasoning behind Common Core math. The Khan Academy Common Core Map includes a free suite of resources that allows parents to explore Common Core math concepts and problems by grade. GreatSchools Milestones is a free online collection of videos aimed at helping parents understand grade-level expectations in grades K-12. Milestones show students demonstrating what success looks like grade by grade in reading, writing, and math. In this GreatKids! Article with Video, seventh graders delve deep into negative numbers, proportional relationships, and linear equations. Math is not only about finding the answer quickly, it’s also about understanding the why behind the answer.